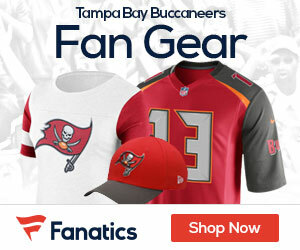 « Poll: Who Wins Thursday Nights Bucs at Vikings Matchup? Week eight starts with a NFC matchup between the Bucs and the Vikings, one team riding high at 5-2 while the other is coming off a tough last second loss at 2-4. The Vikings topped the Cards last week, with a defense that is quickly becoming one of the better ones in the NFC. They slammed John Skelton, getting to him with seven sacks and a defensive score to boot. They will look to lower the boom on Josh Freeman, who last week vs the Saints came close to leading them back to a huge comeback, hitting Mike Williams with no time remaining on a play that would have tied the game. The play though was no good as it was ruled that Williams went out of bounds in the end zone, thus he wasn’t allowed to come back in and make the catch.